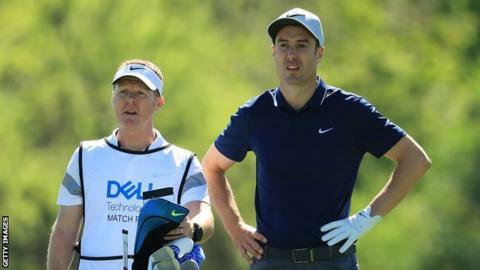 England's Ross Fisher suffered defeat in the World Golf Championship Match Play quarter-finals in Texas. The 36-year-old was beaten 4&2 by Japanese 38-year-old Hideto Tanihara, having earlier defeated Bubba Watson 4&3 in the last 16. In the other quarter-finals, Spain's Jon Rahm beat Soren Kjeldsen of Denmark 7&5, while world number one Dustin Johnson beat Swede Alex Noren 3&2. And Bill Haas beat fellow American Phil Mickelson 2&1 for a semi-final place. Tanihara, who earlier knocked out England's Paul Casey, goes on to play American Johnson, who is seeking a third straight tournament victory and a clean sweep of WGC events. In Sunday's other semi-final, exciting 22-year-old prospect Rahm takes on 34-year-old Haas for a chance to claim the £1.28m winner's share.